BNP Paribas Securities Services is one of the UK’s leading providers, with the expertise and track record to understand its clients’ challenges and to be able to offer innovative services and solutions. BNP Paribas Securities Services employs over 800 employees in the UK and provides solutions to asset managers, asset gatherers, asset owners, issuers and financial intermediaries. 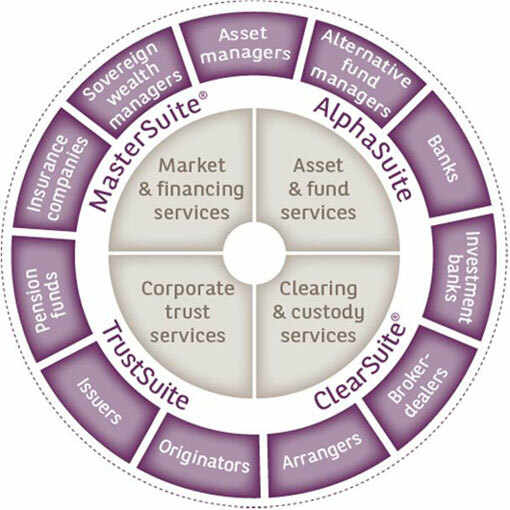 BNP Paribas Securities Services partners with its clients to help them overcome complexity, while offering a one-stop shop for all asset classes, both onshore and offshore. BNP Paribas Securities Services is a wholly-owned subsidiary of the BNP Paribas Group and is recognised as a leading global custodian and securities services provider. BNP Securities Services has a local presence in 34 countries across five continents, with a global reach of over 90 markets. As of 30 June 2016 BNP Paribas Securities Services had: USD 10.3 trillion of assets under custody; USD 2.5 trillion of assets under administration; over 10,166 administered funds and over 10,000 employees worldwide.